Please pick a date to begin configuring your tour. Tour departs at this time, please show up 15 minutes earlier. For your convenience we provide 2 different meeting points, please choose one. 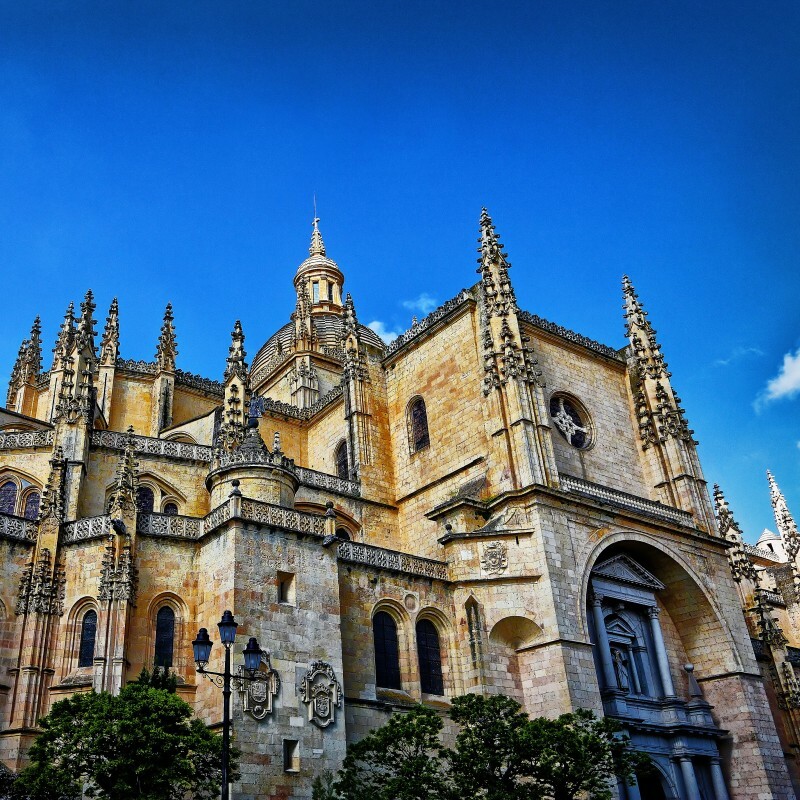 This one day trip takes us back in time to the roman and medieval Castile. 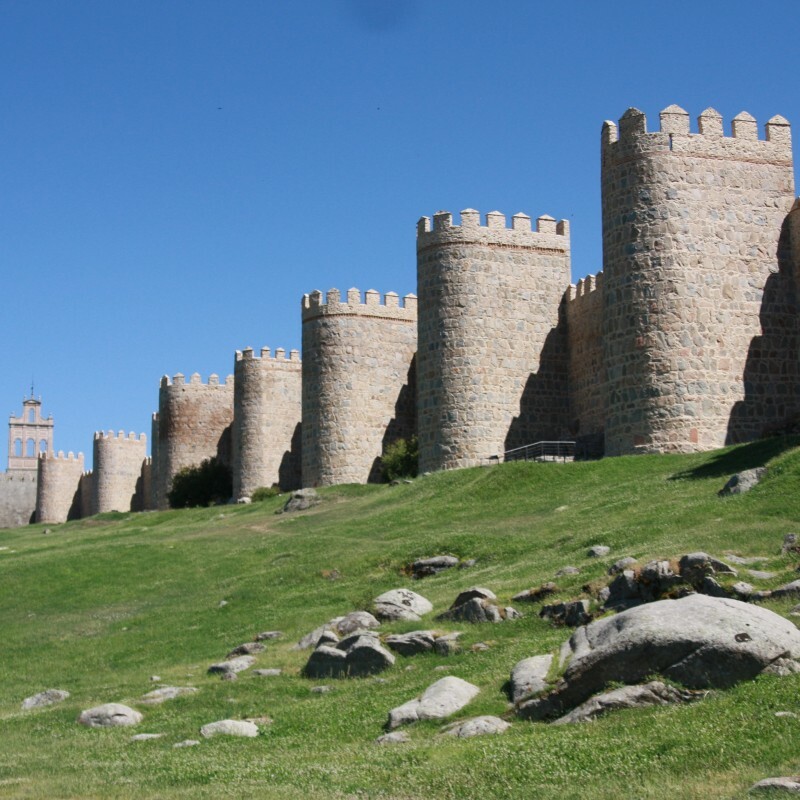 Take a walk around the historic quarters and admire Avila's stunning city walls and the Segovia's roman aqueduct. Ávila is home to the prominent Christian mystic and author, Teresa of Jesus, and its perfectly preserved historic quarter was declared a UNESCO World Heritage Site back in 1985. 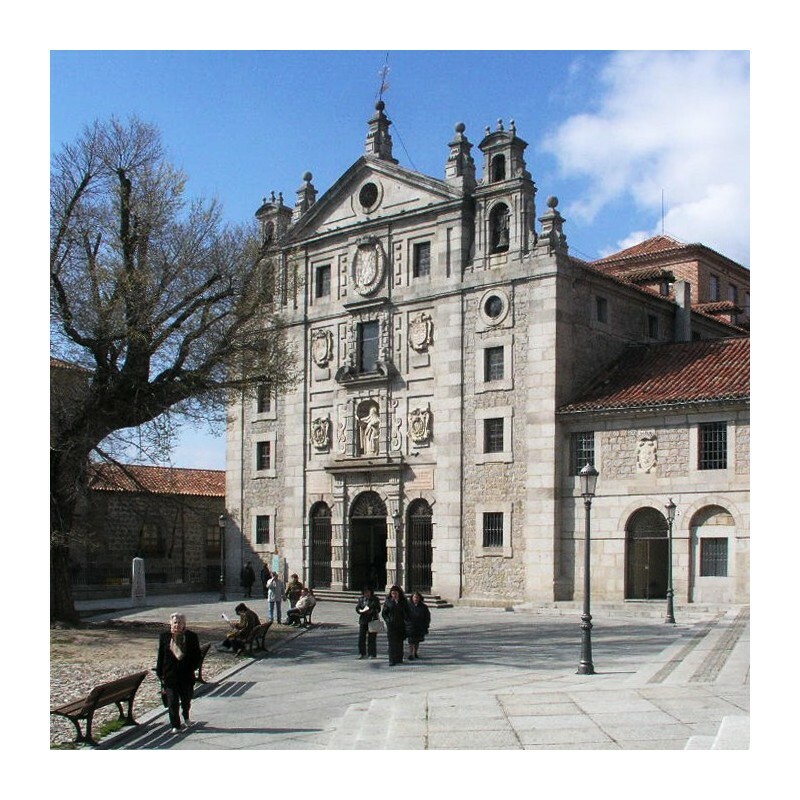 While in Ávila we'll visit the Saint Teresa Museum and Convent, as well as Saint Vicente. We'll also take a walk around the old town, to watch the outside of the Cathedral and the Old Market Square. Once we finish the visit to Ávila we'll head back to the bus and then to Segovia. 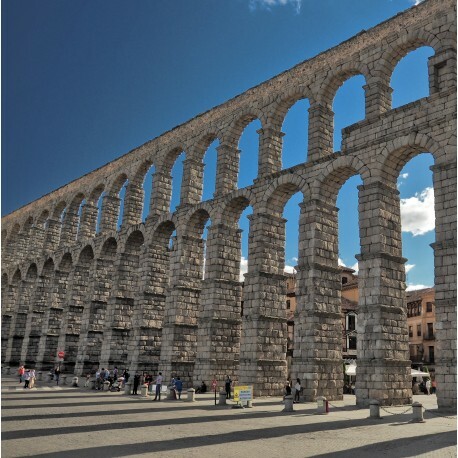 Segovia's highlight is its Roman Aqueduct: a massive engineering work, made of granite without mortar, its 167 arches reaching over 90 feet high. Even today it's a shocking view. 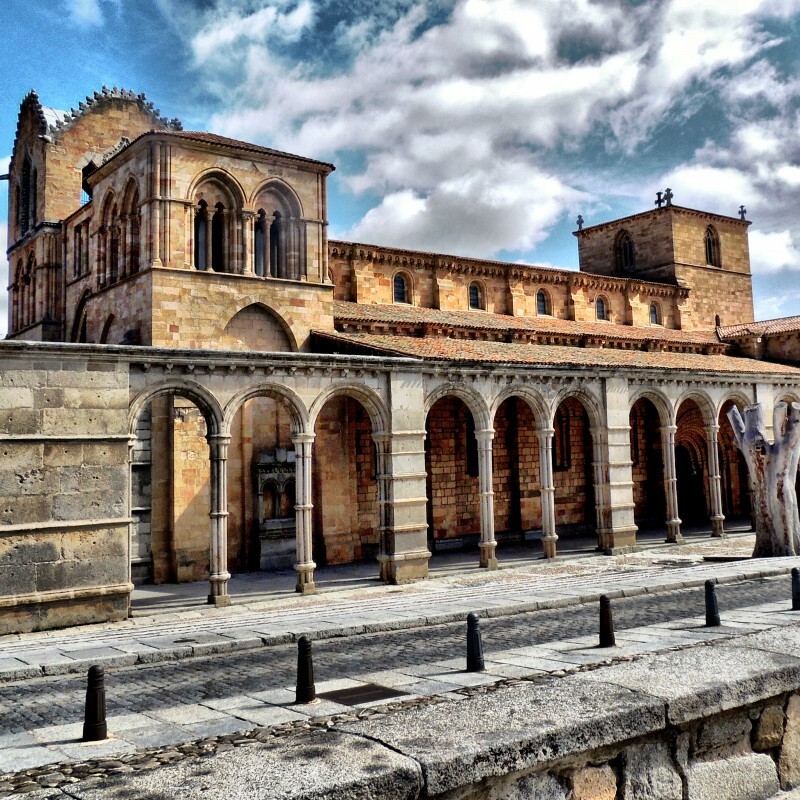 The city was home to several Castilian Kings and boasts a well-preserved historic quarter which was declared a UNESCO World Heritage Site back in 1985. As we arrive Segovia we'll have lunch on our own or at a typical restaurant, as per the booked tariff. Once we're done with lunch, we'll continue the visit to the Aqueduct, and then we'll walk up to the old so that we can visit the Gothic Cathedral, which is considered to be “the Lady of the Cathedrals” due to its elegance. 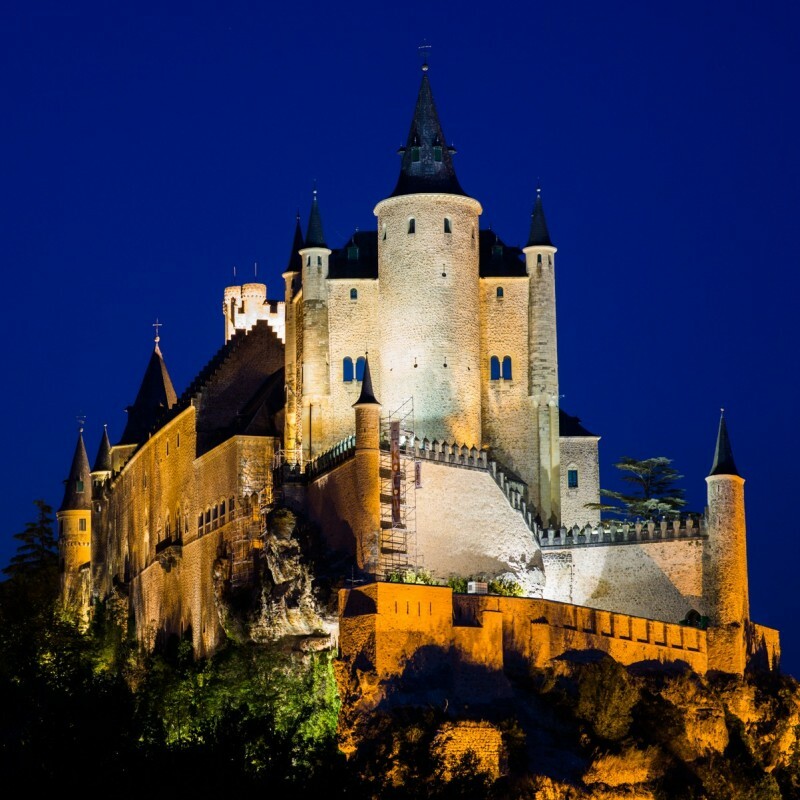 We'll also visit the Alcázar, perched on a rock, overseeing the Castilian plains, it's probably the most magical and spectacular castle in Spain. The tour is about 9 hours long, therefore we recommend wearing comfortable shoes. To tour departs at 9am. From April to October we have daily departures. From November to March the tour departs on Mondays, Wednesdays, Fridays, Saturdays and Sundays. Please be present at the meeting point 15 minutes before to the tour's departure. Please print your voucher and give it to the guide. E-voucher's are also accepted. For your convenience we have two meeting points for this tour. Please make sure you which one you choose when you purchase your tickets. Includes: tapa of Spanish omelet and a drink (soft drink, beer, wine, still water, coffee). Child (6 to 15 years old) 50€. Includes: La Granja white beans, segovian style stuffed veal with garnish and dessert. Drinks not included. Child (6 to 15 years old) 55€. Includes: includes: La Granja white beans, roasted suckling pig and ponche cake with ice cream. Red wine, mineral water and coffee. Child (6 to 15 years old) 60€. The menus are subject to change without notice. Entrance to the Convent of Santa Teresa. Entrance to the Basilic of San Vicente. Please note: From April 2018: Entrance to the Walls of Ávila except on Mondays from November 2018 to March 2019 that we will visit the inside of the Basilica of San Vicente due to the closure of the Avila Walls. Entrance to the Cathedral of Segovia. Entrance to the Alcázar of Segovia. Picture Muralla de Ávila by Fernando, published under Creative Commons Attribution-ShareAlike license. Picture Convento de Santa Teresa de Jesús by Håkan Svensson (Xauxa) via Wikimedia Commons, published under Creative Commons Attribution-ShareAlike license. Picture 4522-San Vicente de Avila by Jose Luis Cernadas Iglesias, published under Creative Commons Attribution license. 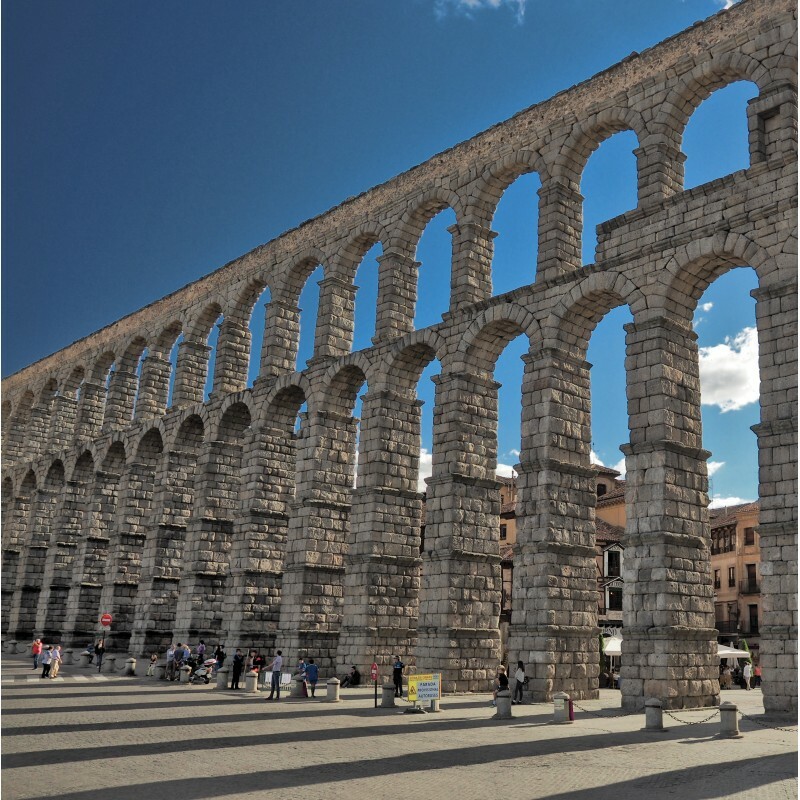 Picture Segovia, aqueduct by Dmitry Dzhus, published under Creative Commons Attribution license. Picture Alcázar de Segovia by Fernando García, published under Creative Commons Attribution license. Picture Segovia Cathedral Facade II by Zhang Wenjie published under Creative Commons Attributtion license.